With the AEGIS Series (published by Brill) AEGIS provides a venue for the publication of works drawn from the lively and expanding community of scholars with interests in Africa and its Diaspora. The AEGIS Series aims to publish books within the broad fields of study within the humanities and social sciences that would bring new approaches or innovative perspectives to the topics discussed. Titles comprise works that could also reflect established debate within African Studies if they provide new insights. Both individually-authored works and edited collections on focused themes will be considered. The first volume ("Is Violence Inevitable in Africa?") appeared in 2005. Information about new titles in the AEGIS Series and about the editorial board can be found at the website of the publisher, Brill. 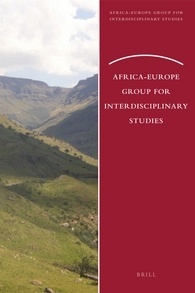 Books in the AEGIS Series are available Open Access (with an embargo of two years, in which books are for sale via Brill http://www.brill.com/publications/africa-europe-group-interdisciplinary-studies).